With their stunning colours and 12in wingspan they’re not the sort of insect you could ignore. And now not just one but nine of the world’s largest months have hatched at a butterfly sanctuary in Gloucestershire. 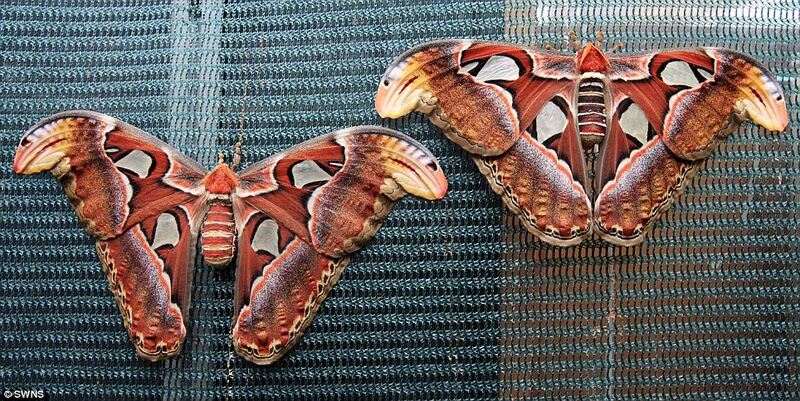 The giant Atlas moths emerged from their chrysalises at Berkeley Castle Butterfly House. 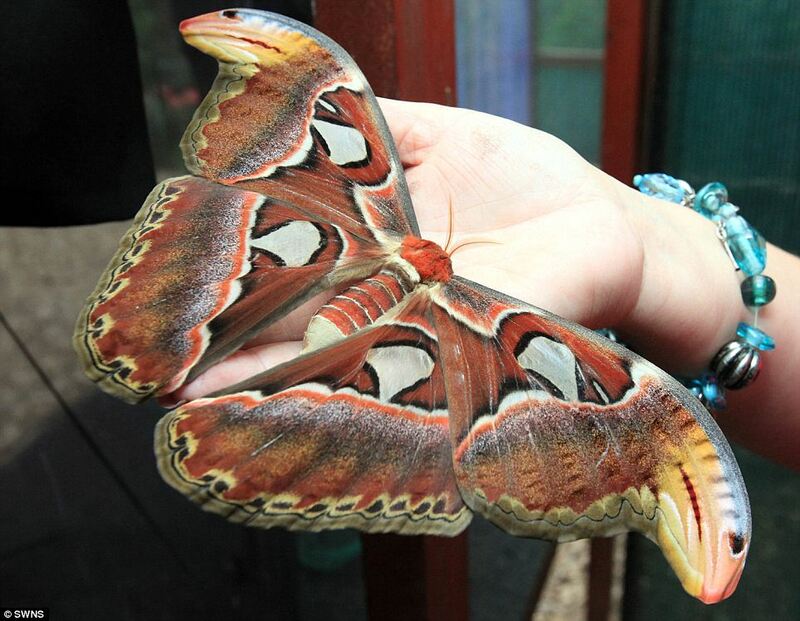 Atlas moths are named after the intricate, colourful map-like patterns on their wings It is the first time the moths have successfully bred and hatched offspring in two years. The moths, which do not have fully-formed mouths and survive off fat they built up as caterpillars, only live for a maximum of two weeks. They are unsteady fliers and the do not stray far. Their sole purpose of life as a moth is to breed. Atlas moths are found in the tropical and subtropical forests of South-East Asia and are common across the Malay archipelago.